Since establishment of the first LMMAs in Kenya in the late 1990s, community interest has grown in managing their fishing grounds. They have come out strongly to demonstrate that they should be the custodians of their environment. With proper structure and support, they can ensure management of fishing grounds and exploiting the fishery resources in a sustainable manner. 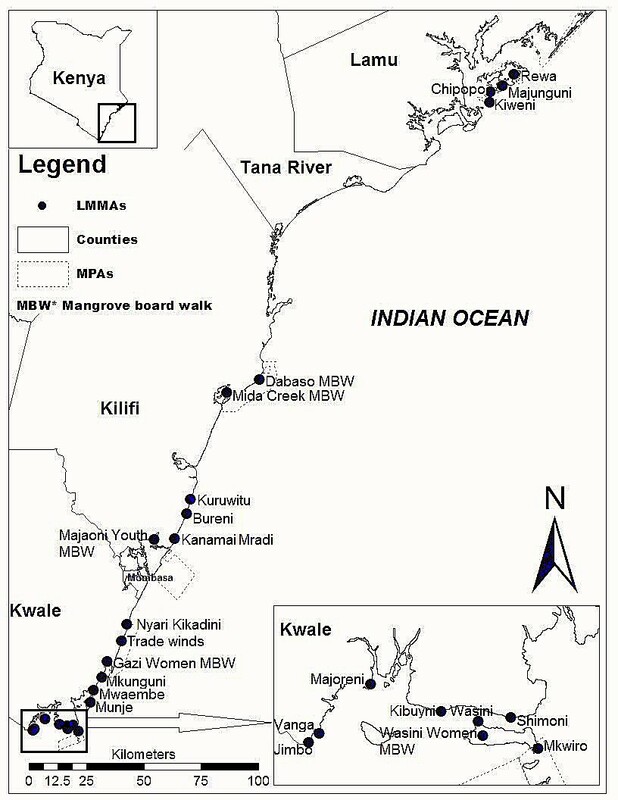 To date, 24 LMMAs have been established along the coast of Kenya (map shown below). the existence of focused leaders who championed for establishment of LMMAs. lack of clear legal guidance. Based on these findings, guidance on establishing a clear legal framework are contained in the report ‘Legislation Guidelines for LMMAs in Kenya’. These guidelines involved extensive consultation with many stakeholders including government agencies and their legal officers, as well as the fishing communities. Output from this work is useful to guide communities and other stakeholders in developing LMMAs, or for those that are established and need guidance on their operations.